Control One is rated 4.6 out of 5 by 65. Rated 5 out of 5 by sgtrob from Great little speakers Purchased to use with a old pioneer Sx-780 Reciever and a cassette deck/turntable to have a small "vintage " system. I love the control one speaker system as they are very small in size but very large in sound. Nice sound for the average person especially for backgroung music in the late night hours. 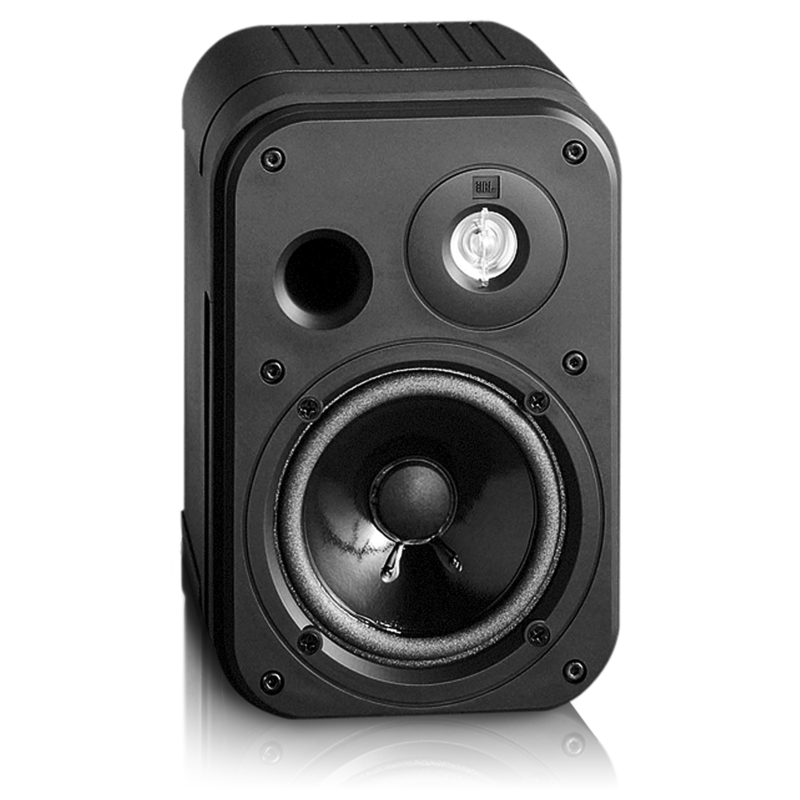 Bass response is very good for this size speaker and completely adaquate for most people. Clean and can get plenty loud these sound very good you will not be disappointed unless you expect 12 in. woofer bass from a 4 in. speaker. Great speaker...great price buy them now you deserve good sound. Rated 5 out of 5 by sl23 from Stunning sound for their size I've had these for ten years, given by a friend only just found out their true power! For the average Jo, it's doubtful you could want more from a little speaker. Clarity is amazing and bass is unbelievable from a tiny cabinet like this! Even thought the diaphragms are disintegrating, they still sound superb. Trying to decide on whether to replace the diaphragm or buy new C1's! Rated 4 out of 5 by schreinman from Great speakers for the money! Picked up a pair from Fry's for only $50. Nothing else can compare at that price! Great overall sound and better bass than expected. Rated 5 out of 5 by technicial Mark from they're good! they're good! 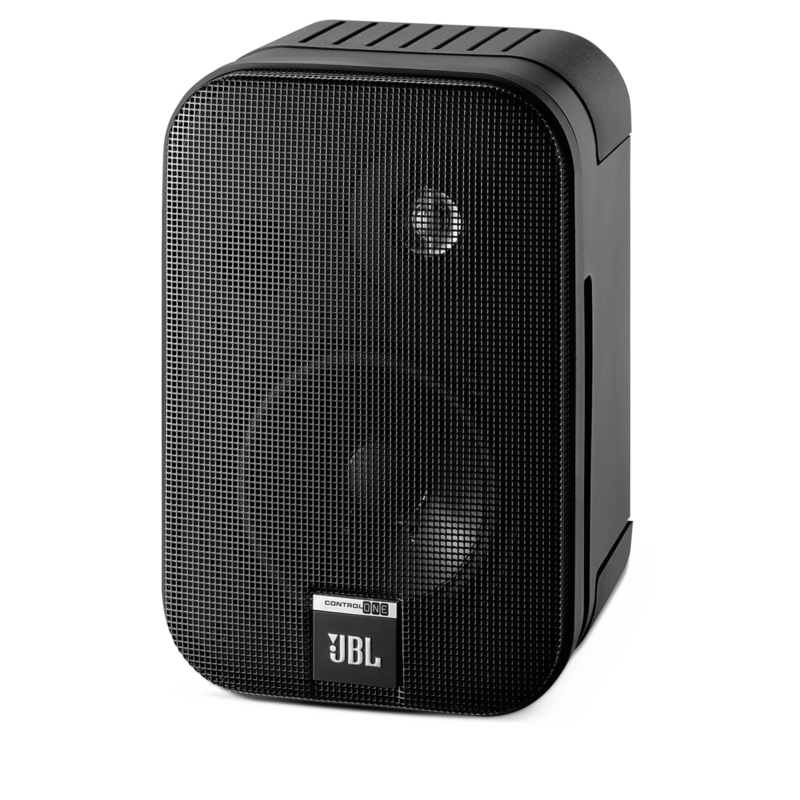 I've used from 15 inch(nightclubs) to Control one's(home) and all JBL speakers are awesome. Rated 5 out of 5 by Skier from Still going strong. I have been using Pro 3 for almost 30 years. I am so happy to get same spec. replacement with more crispy sound. Rated 5 out of 5 by mondy from Great sound even at low volumes Lovely clear sounding speakers, even clear at low volumes. Reasonable bass considering the size. Very well built. Rated 5 out of 5 by Bassman from Huge Sound! I've been a JBL fan since the 70's. I've had a number of products over the years for a variety of uses including home, auto and commercial sound reinforcement. I currently have an old pair of L65's for my main home system but decided to purchase the Control One's for outdoor use on my patio. 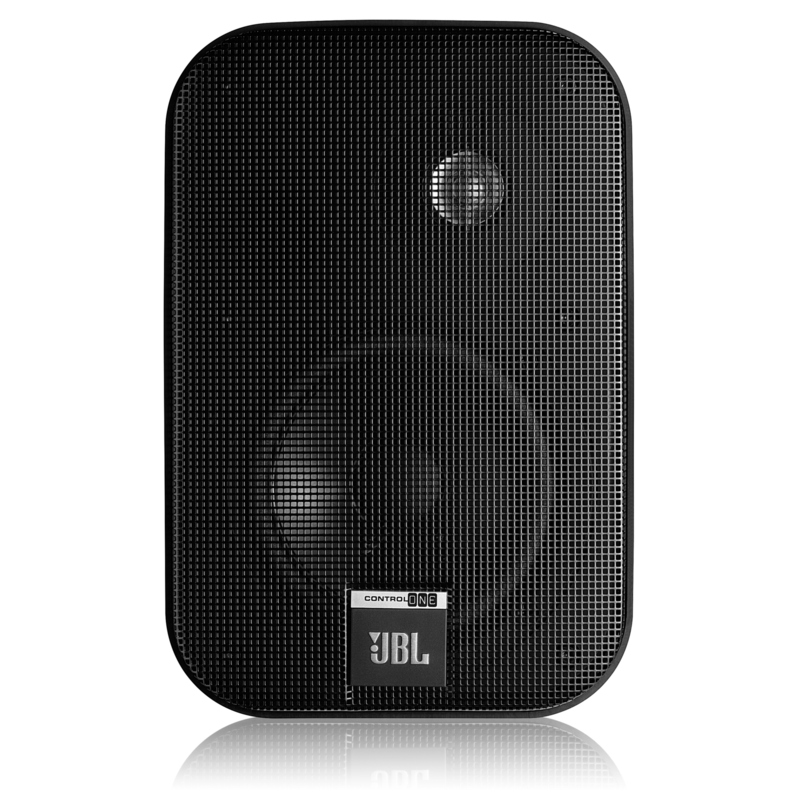 The Control One's are loud, lean and accurate - everything you'd expect from a JBL speaker system. 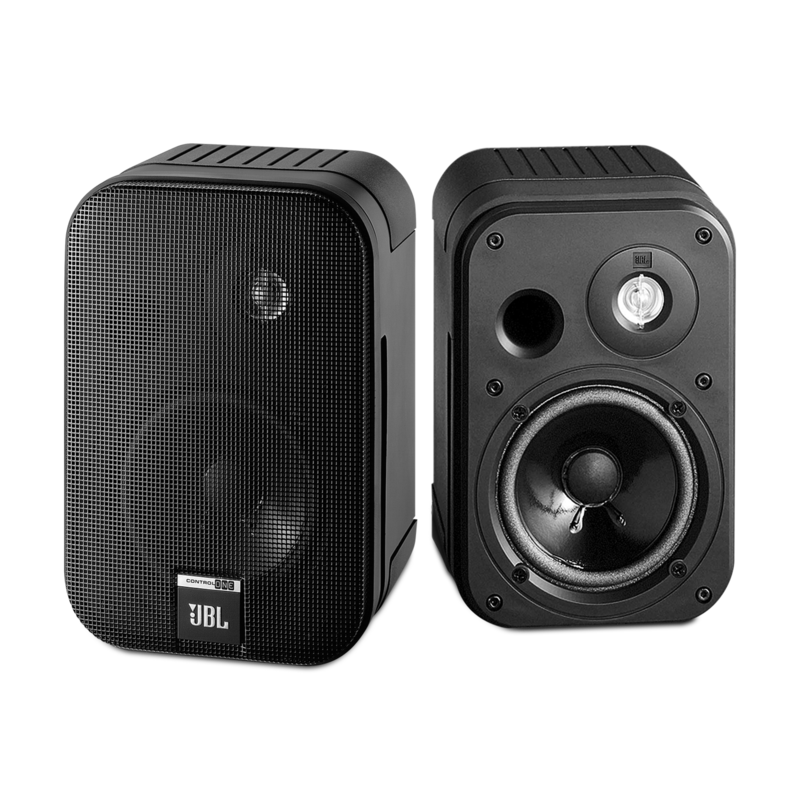 I've never heard a JBL speaker system I didn't like and the Control One's are certainly no exception. Simply outstanding! Ich m&ouml;chte die Lautsprecher an mein Amazon Echo anschlie&szlig;en. Wie k&ouml;nnte ich das anstellen ? Also welche Kabel br&auml;uchte ich ? Der Control One ist ein Regallautsprecher, f&uuml;r die Sie einen Verst&auml;rker mit Standard-Lautsprecherausg&auml;ngen ben&ouml;tigen w&uuml;rden. Soweit wir wissen, k&ouml;nnen Sie das Amazon Echo nicht ohne Empf&auml;nger / Verst&auml;rker an die Control One anschlie&szlig;en.